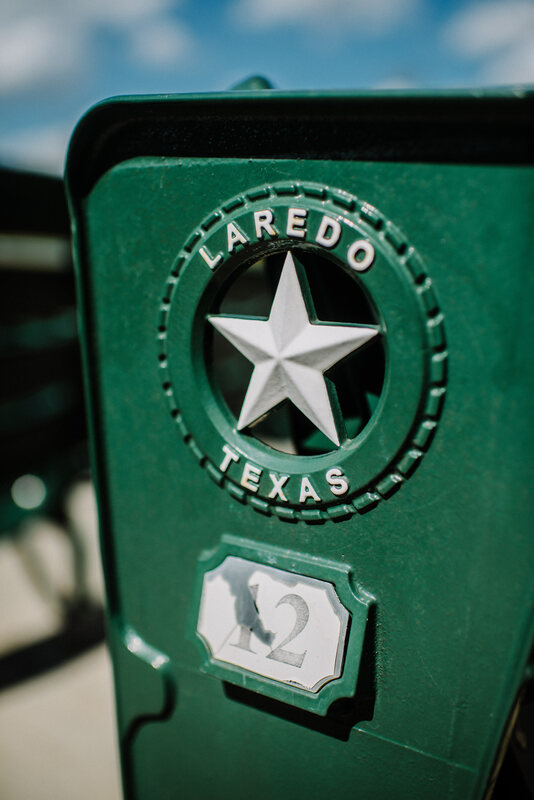 The Tecolotes de Los Dos Laredos (The Owls of both Laredos) is a Mexican baseball team that plays home games in both Mexico and the U.S. Half of their home games are played in a primary stadium in Laredo, Texas, and the other half are played in a stadium about forty minutes away and in the Mexican state of Tamaulipas. 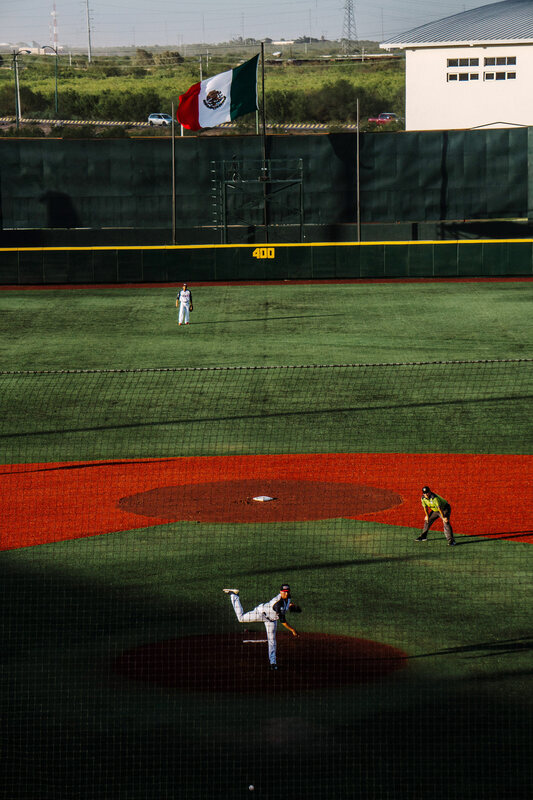 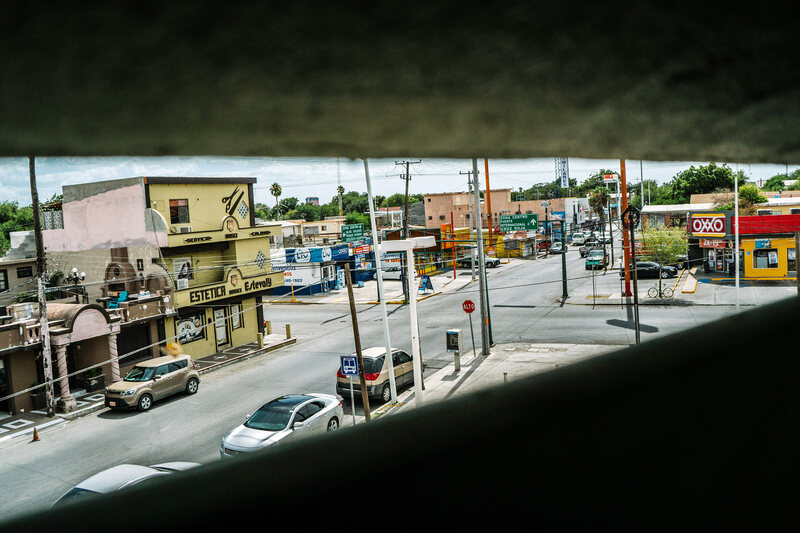 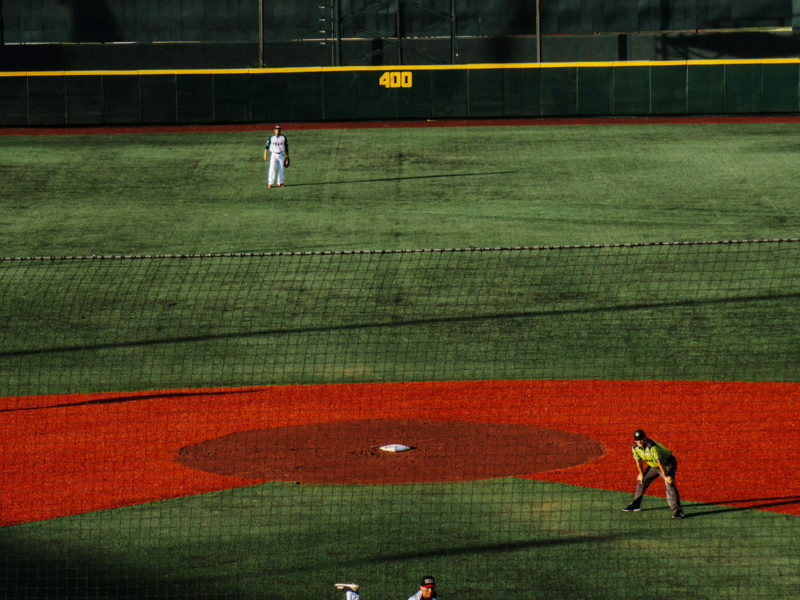 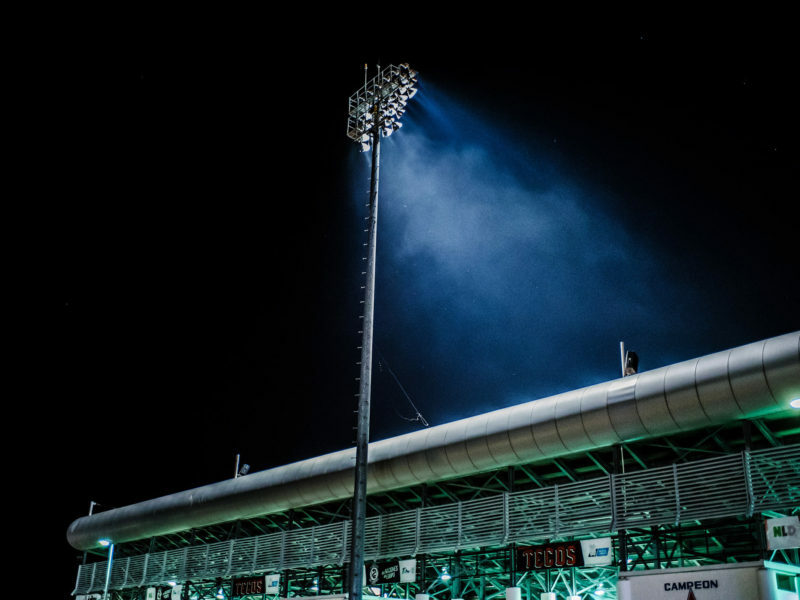 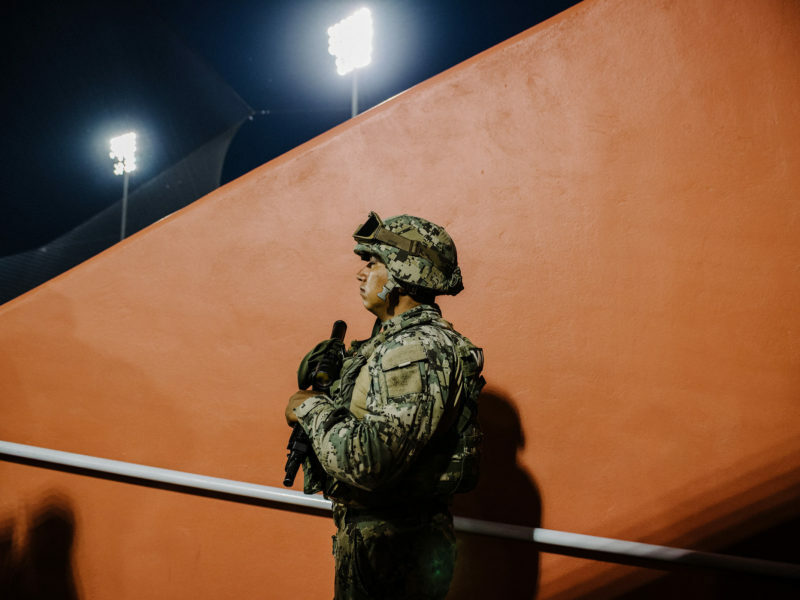 Some fans go to games in both stadiums and go to either, but many American fans are hesitant to attend games in Nuevo Laredo due to the potential danger that arises from the presence of border cartels. 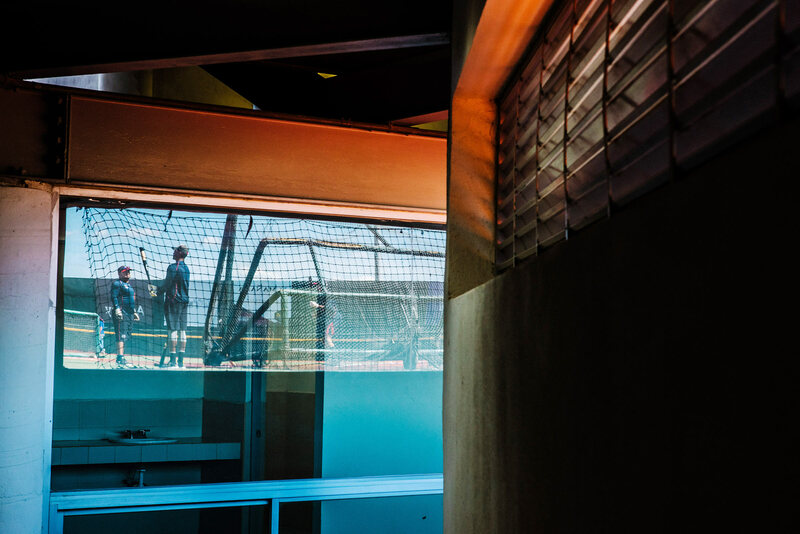 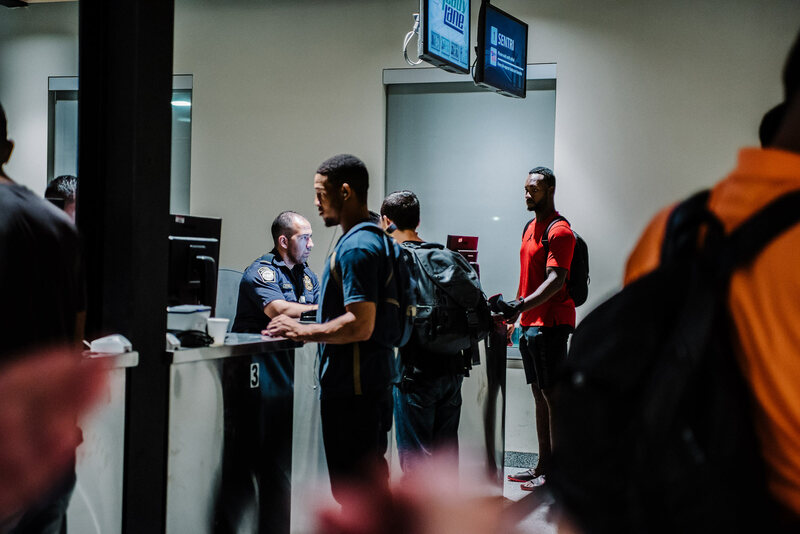 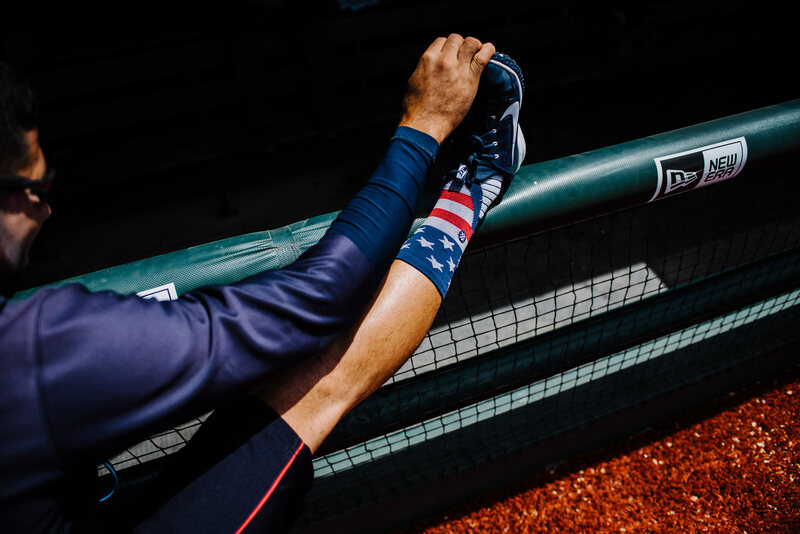 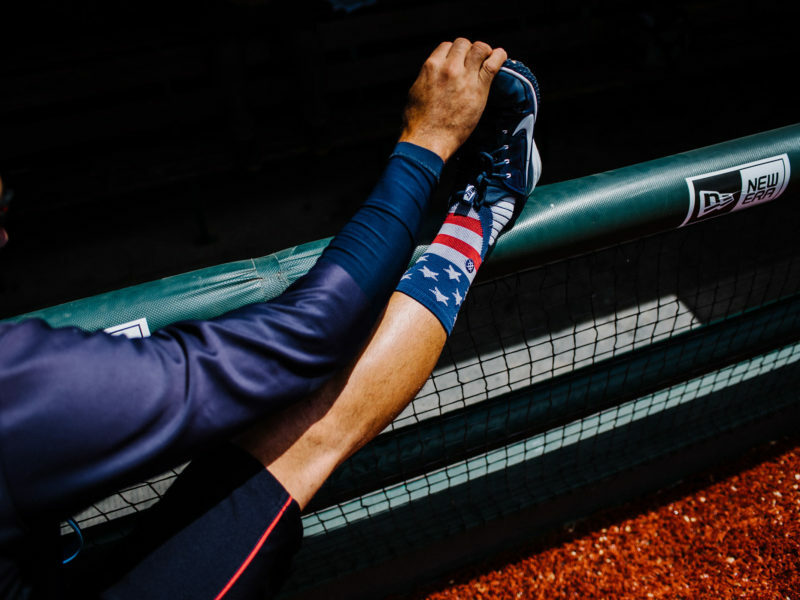 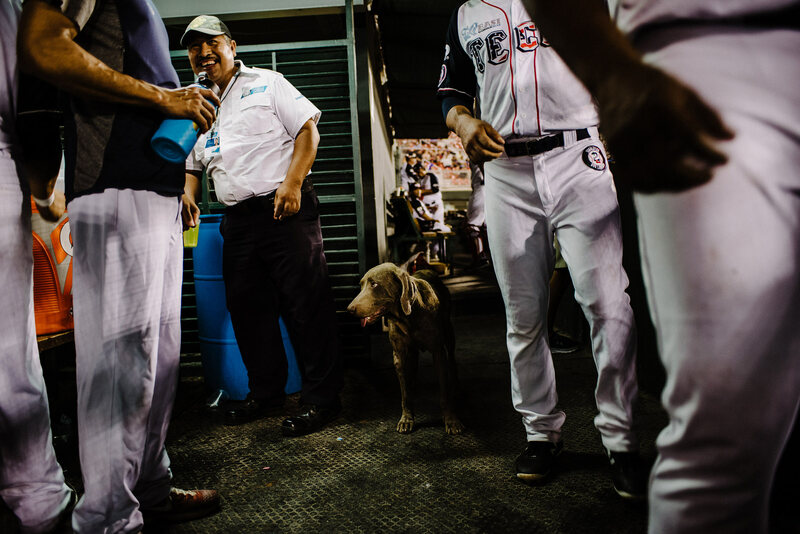 This photo essay looks at the delicate logistics of the team crossing the border for baseball every week. 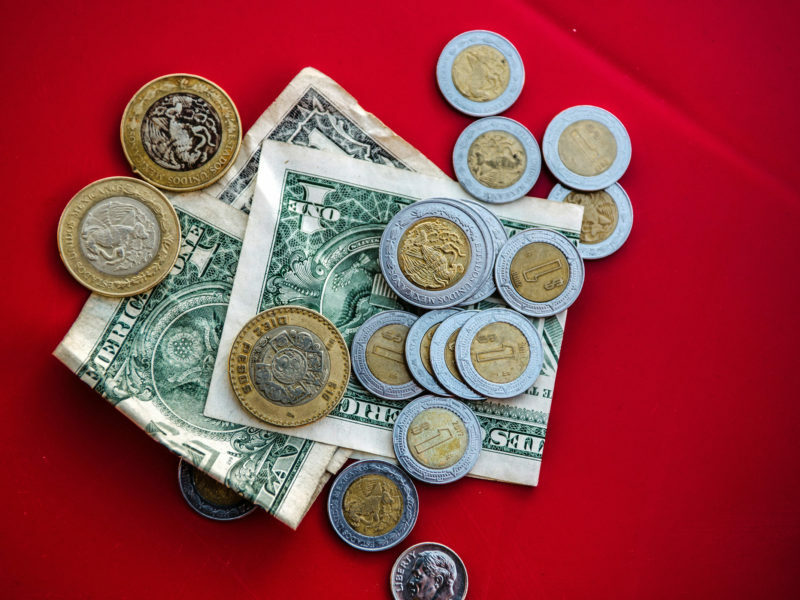 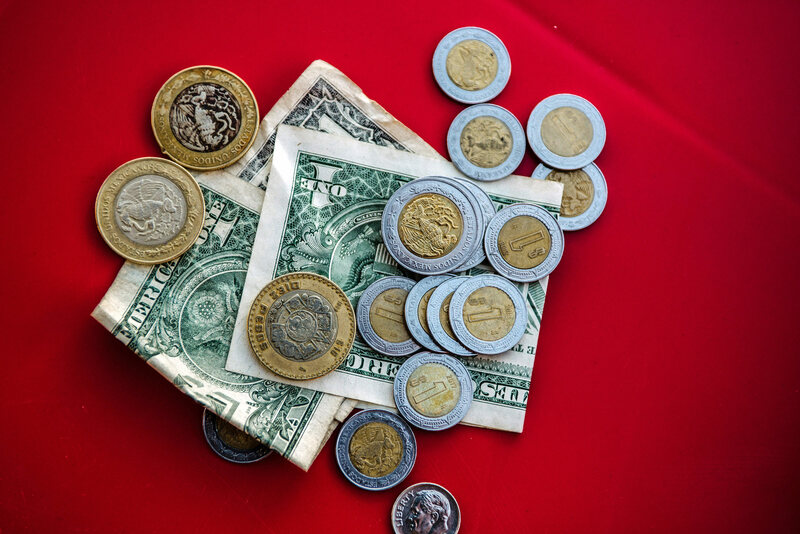 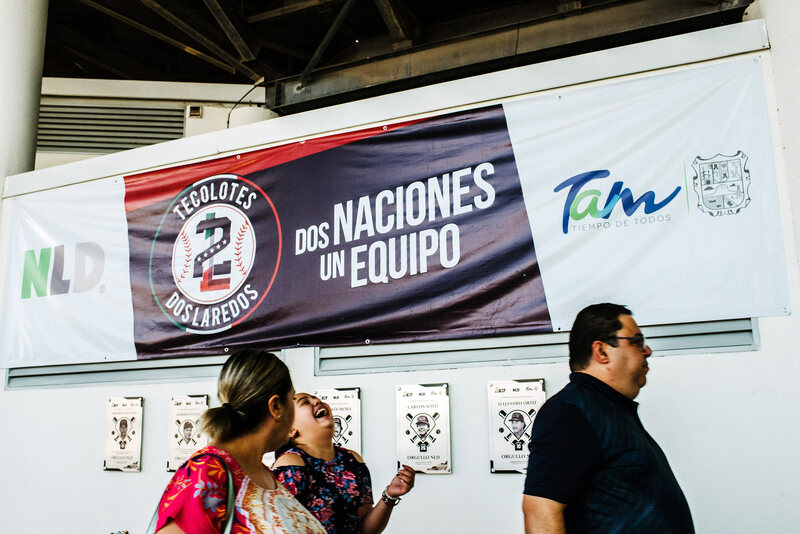 I looked for symbols of a transnational relationship: vendors accepted both dollars and pesos, anthems were played for both Mexico and the U.S., and nearly all players were fluently bilingual. 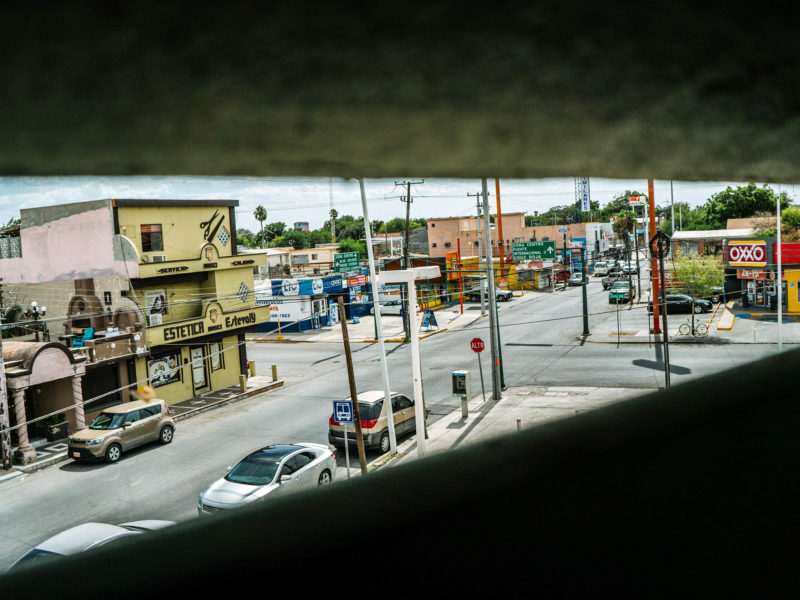 Despite the complicated political relationship between both countries, this story attempts address the idea of binational unity in spite of these complications. 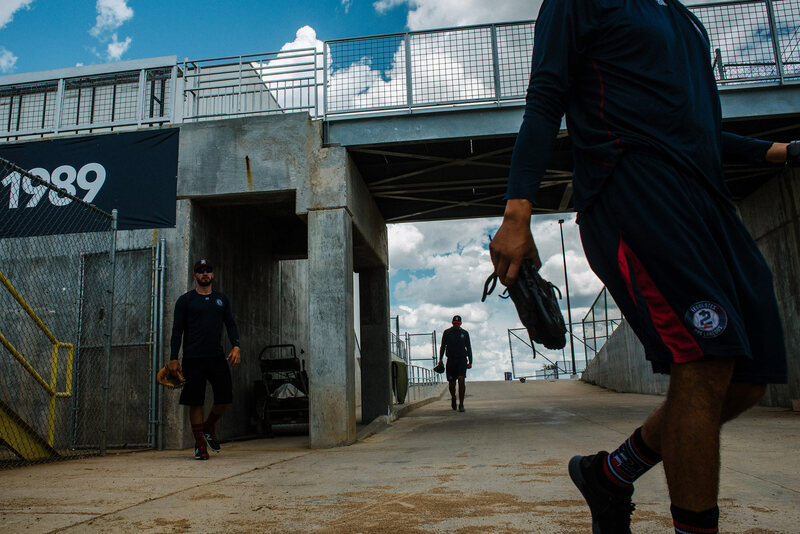 Members of the Tecolotes de Dos Laredos baseball team walk across the border connects from Nuevo Laredo, Mexico and Laredo, Texas. 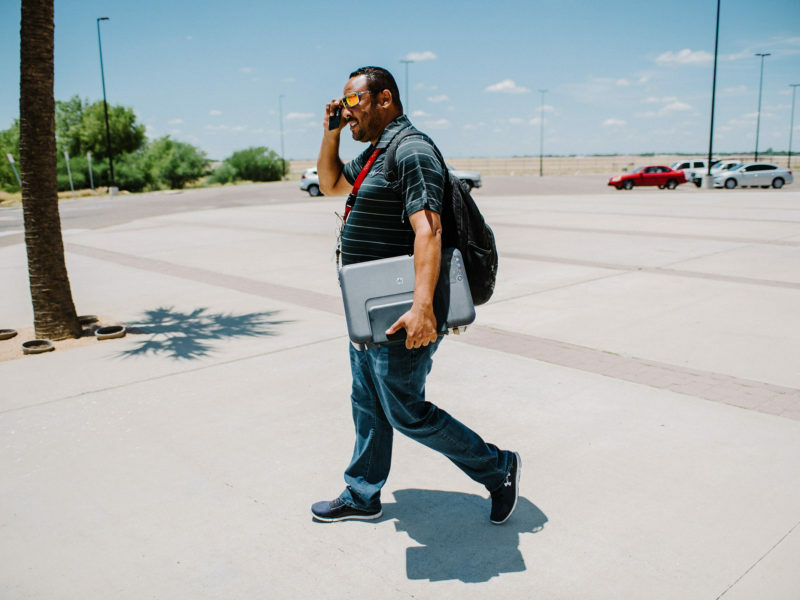 These players live in Mexico and walk across the border before games played in Texas. 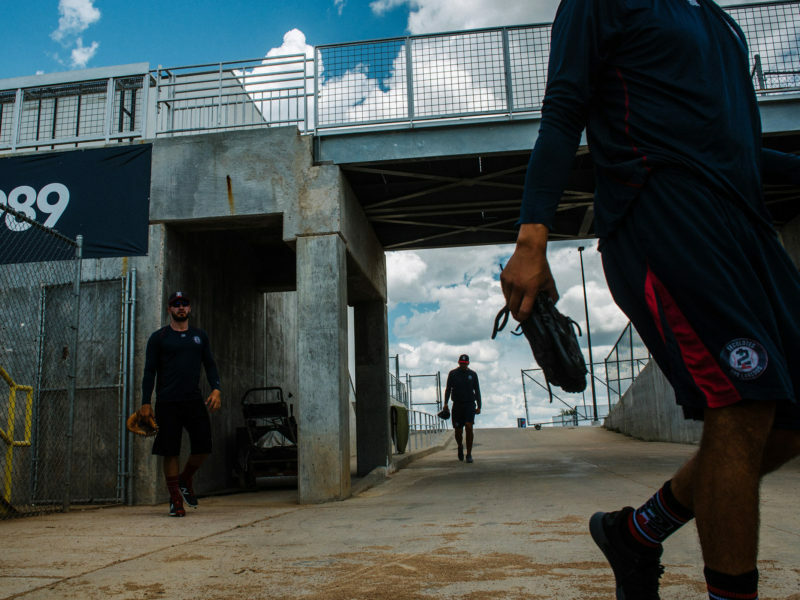 Members of the Tecolotes de Dos Laredos baseball team walk onto the field at Uni-Trade Stadium in Laredo, Texas. 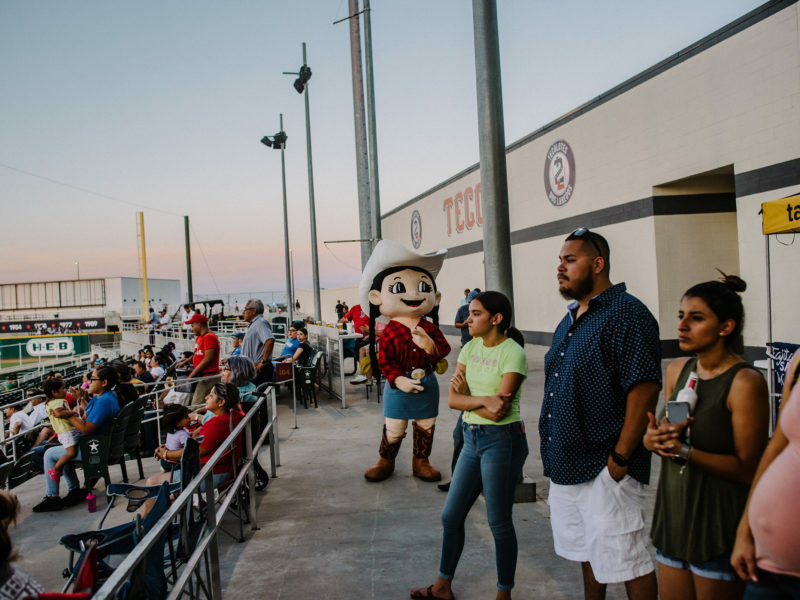 The Tecolotes de Dos Laredos baseball team during the national anthems at Uni-Trade Stadium in Laredo, Texas. 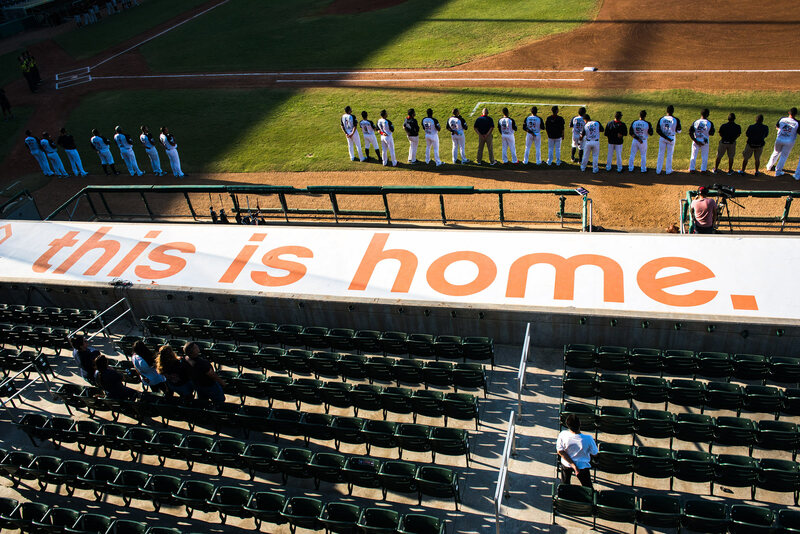 The anthems for both the United States and States were played. 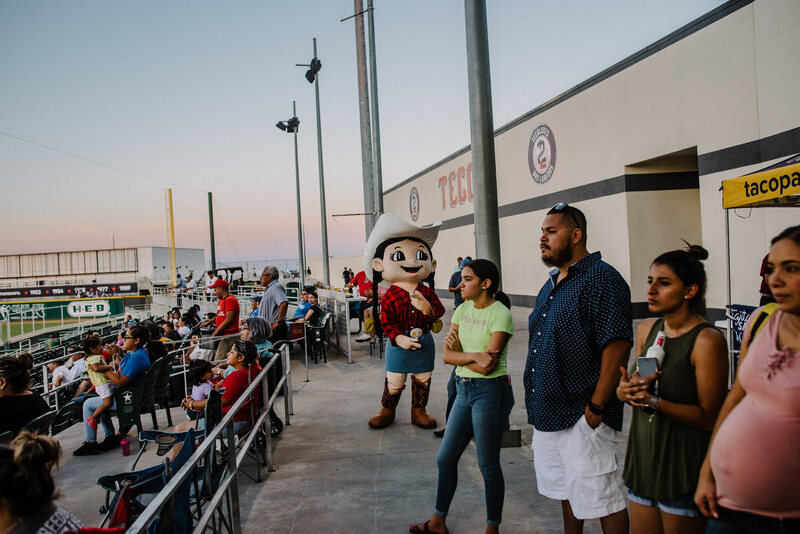 A mascot for a local pharmacy, Calderon, at a game at Uni-Trade Stadium in Laredo, Texas. 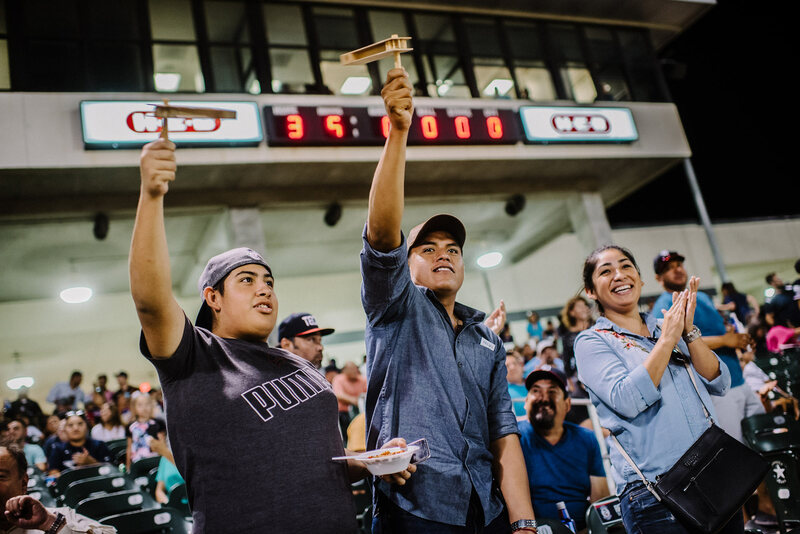 Players pay for food at a snack shop with a combination of American dollars and Mexican pesos at the Ciudad Deportiva's Nuevo Laredo Stadium in Nuevo Laredo, Mexico. 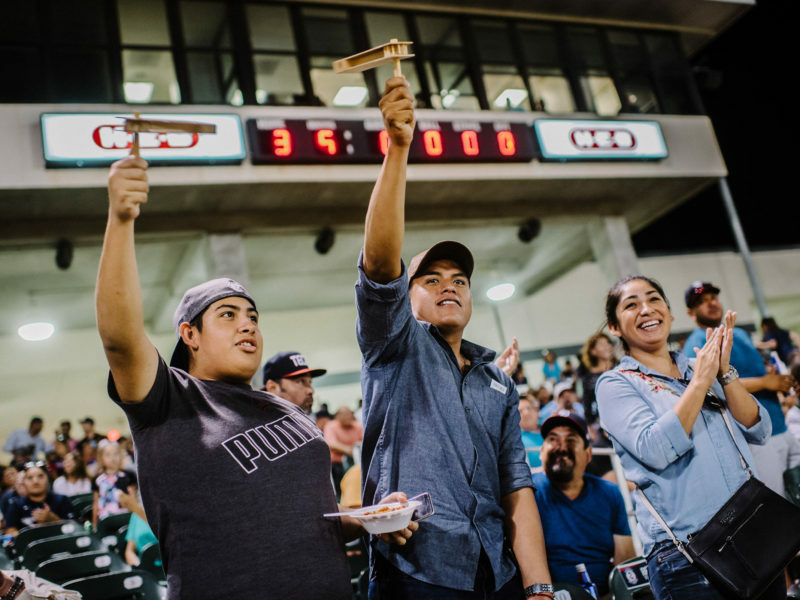 Fans cheer during a Tecolotes game at Uni-Trade Stadium in Laredo, Texas. 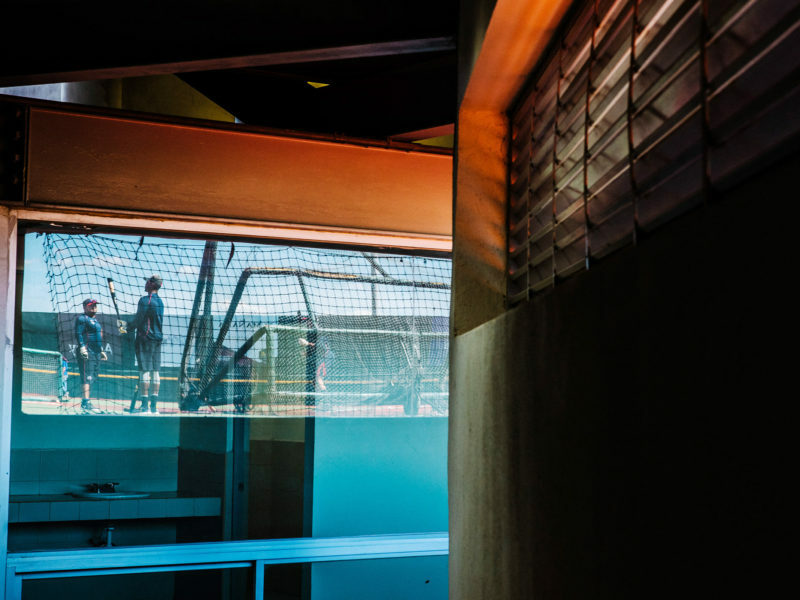 Players take batting practice before a game at the Ciudad Deportiva's Nuevo Laredo Stadium in Nuevo Laredo. 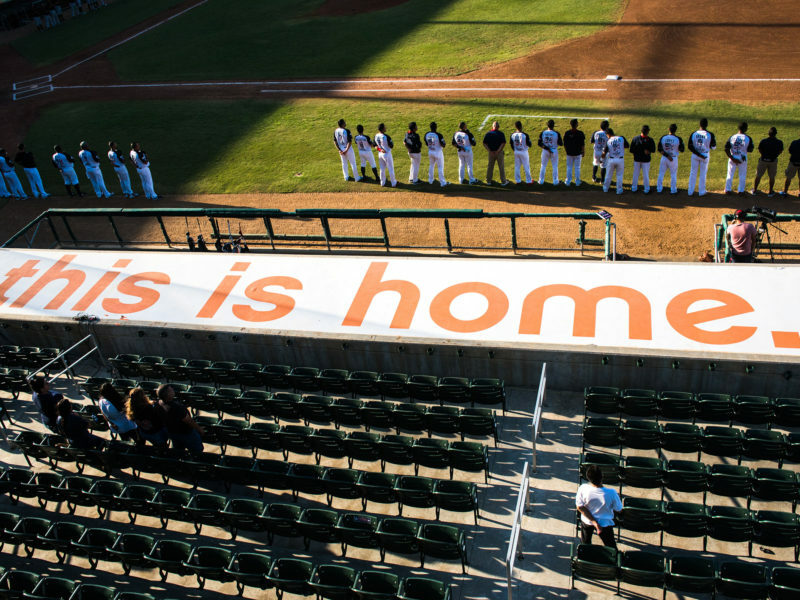 Uni-Trade Stadium in Laredo, Texas. 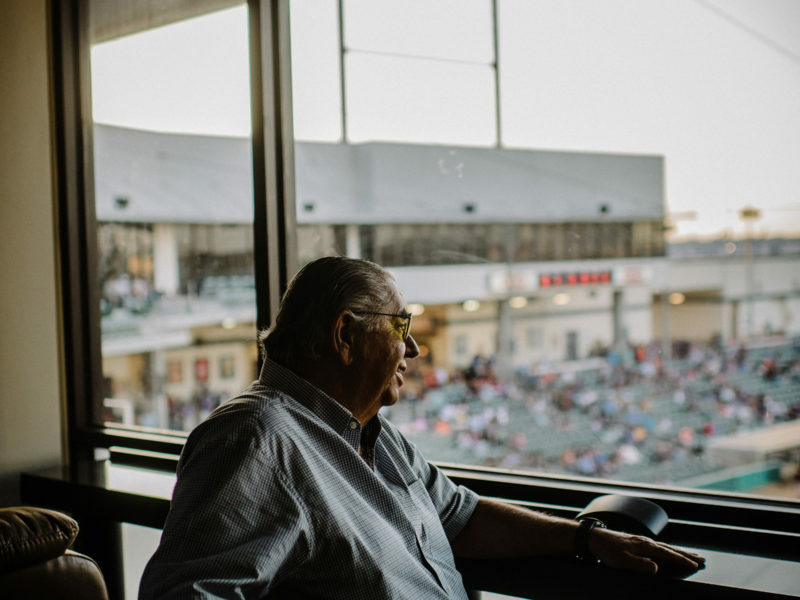 President of the Tecolotes baseball team, José Antonio Mansur Galán, left, during a game at Uni-Trade Stadium in Laredo, Texas. 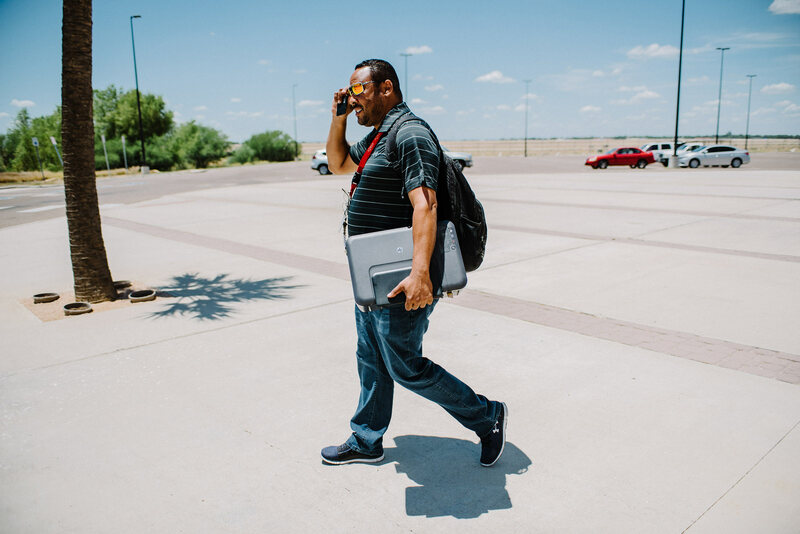 Assistant General Manager for the Tecolotes, Kelvis Flete, carries a printer to his car at Uni-Trade Stadium in Laredo, Texas. 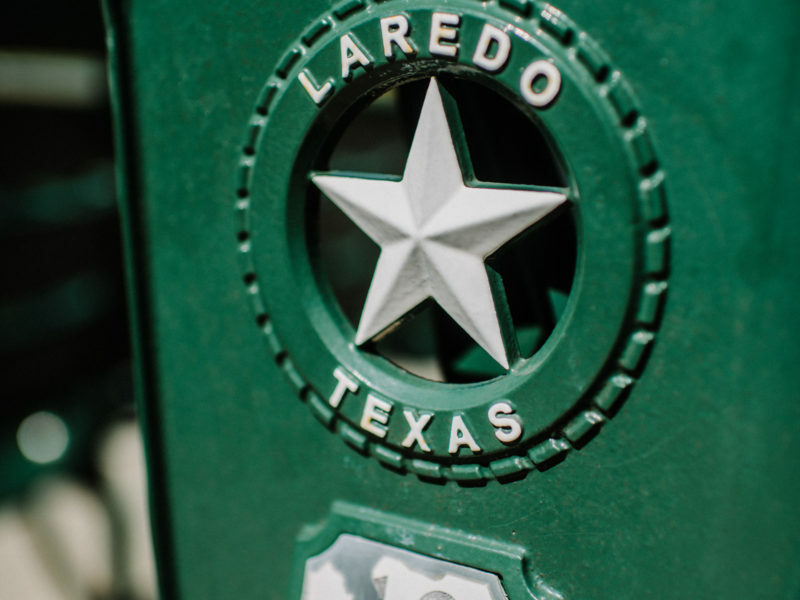 The team often has to transport items from their home stadium in Laredo to their home stadium in Nuevo Laredo because the Mexican stadium does not as many facilities. 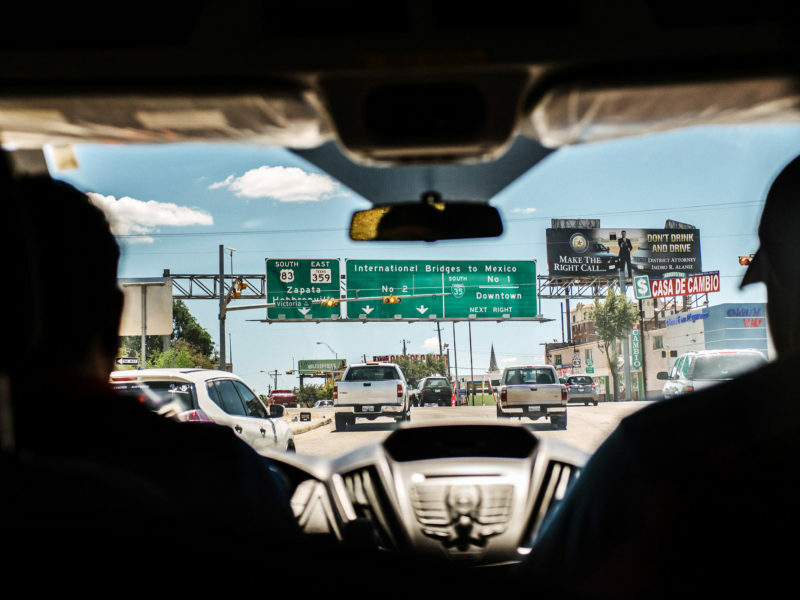 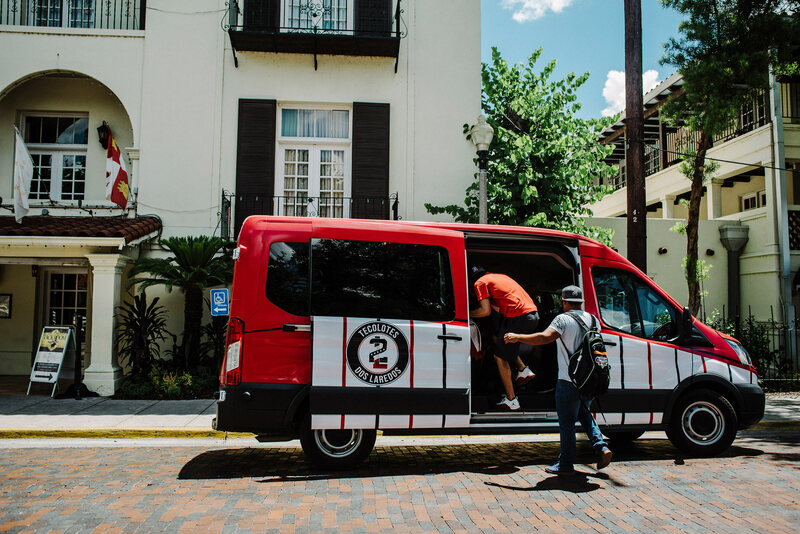 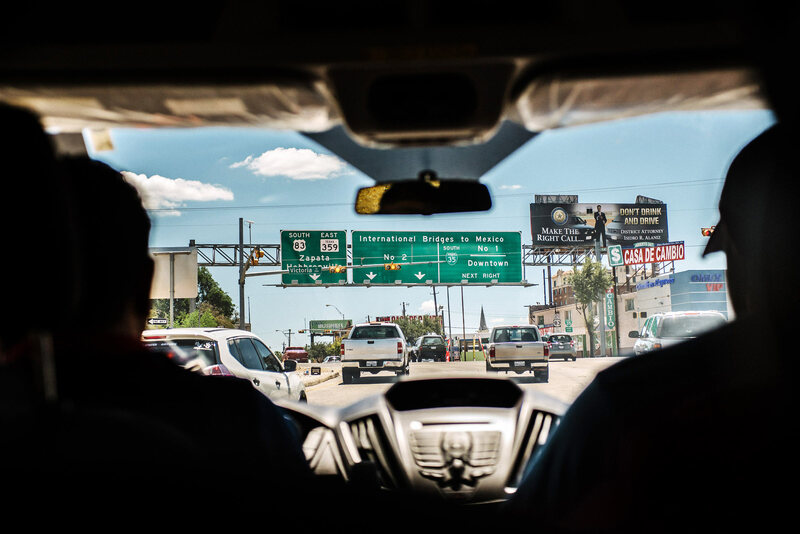 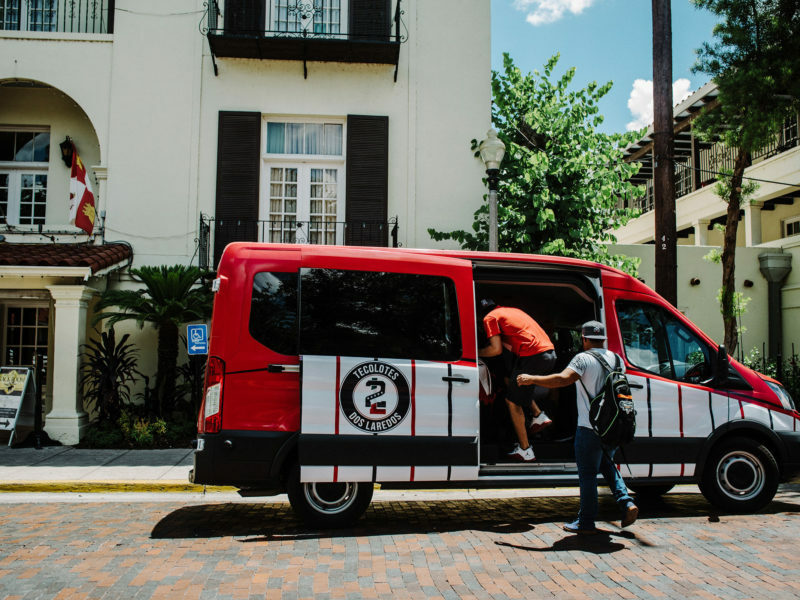 The Tecolotes team van drives from Texas to Nuevo Laredo, Mexico. 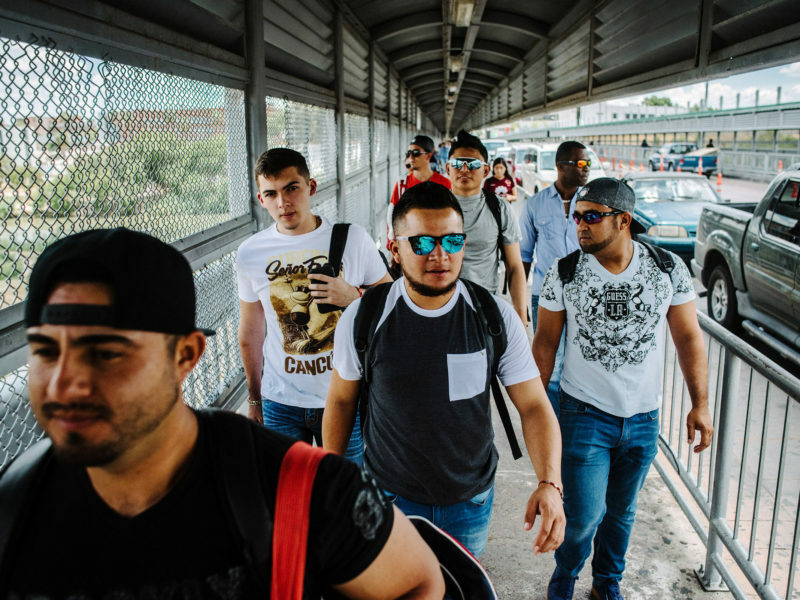 Members of the Tecolotes de Dos Laredos baseball team are picked up after crossing the border. 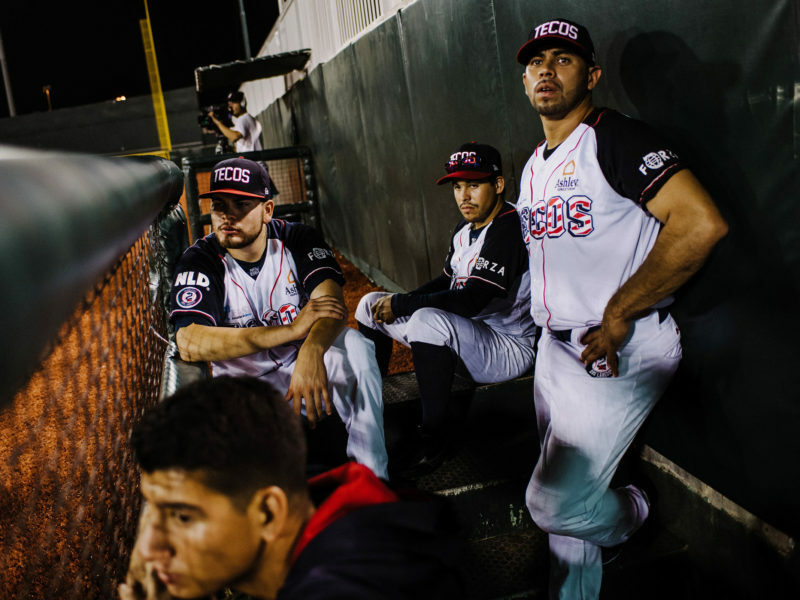 These players live in Mexico and walk across the border before games played in Texas. 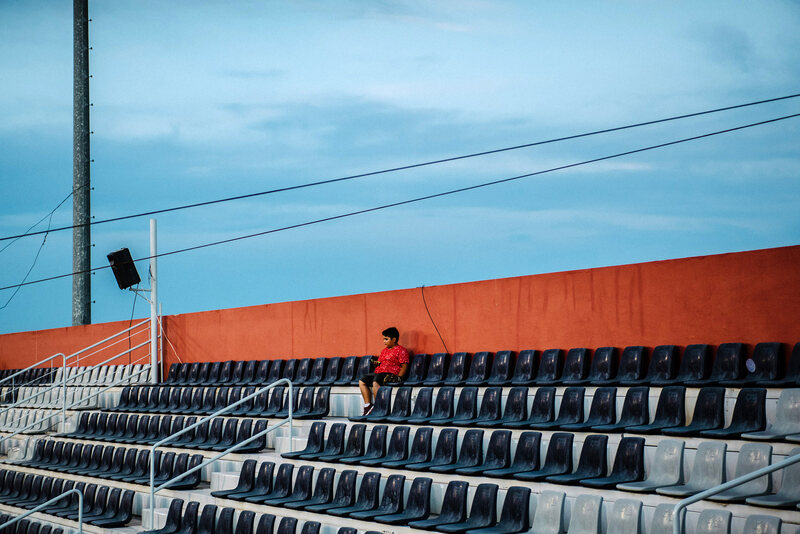 Downtown Nuevo Laredo, Mexico, in Tecolotes' old stadium. 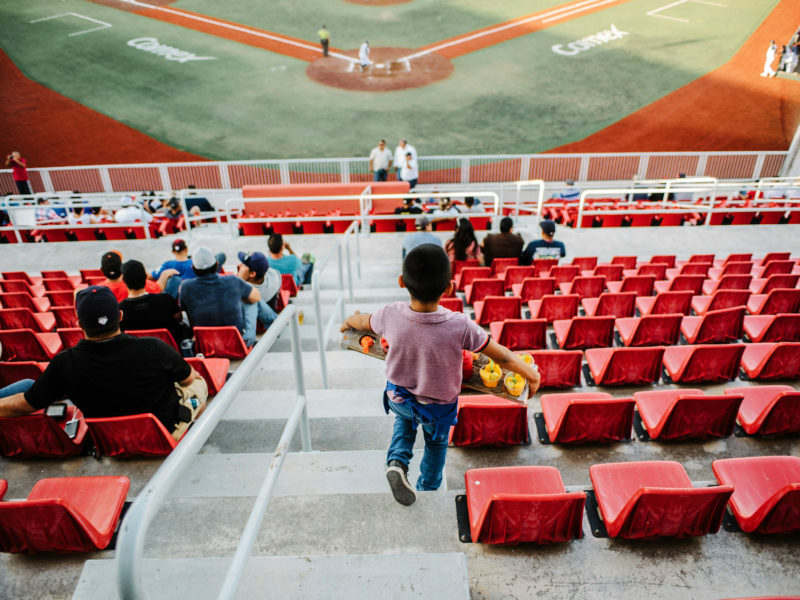 The Tecolotes play a baseball game at the Ciudad Deportiva's Nuevo Laredo Stadium in Nuevo Laredo. 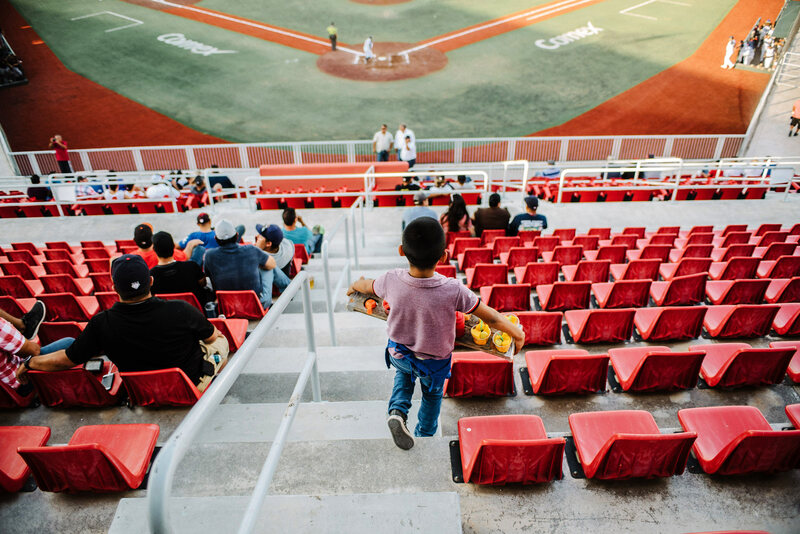 A young boy sells snacks at the Tecolotes baseball game at the Ciudad Deportiva's Nuevo Laredo Stadium in Nuevo Laredo. 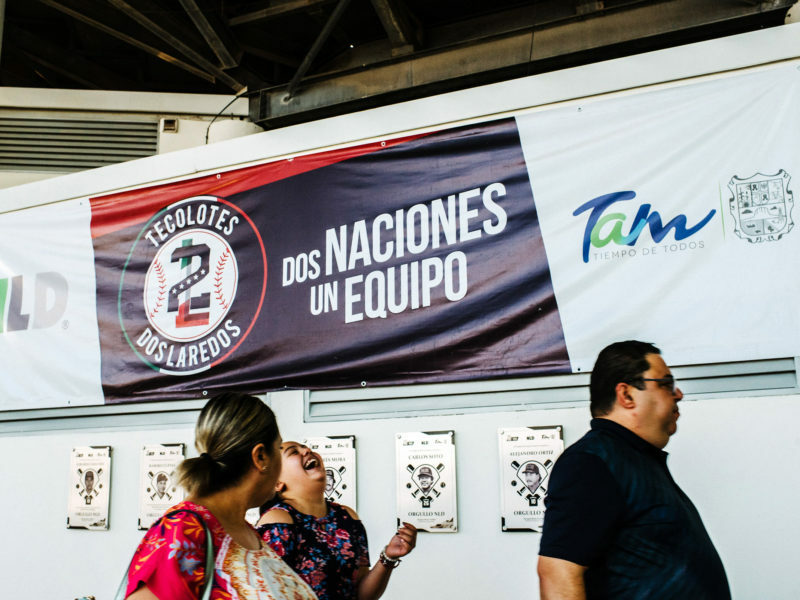 A sign that reads "Two Nations, One Team" at the Ciudad Deportiva's Nuevo Laredo Stadium in Nuevo Laredo. 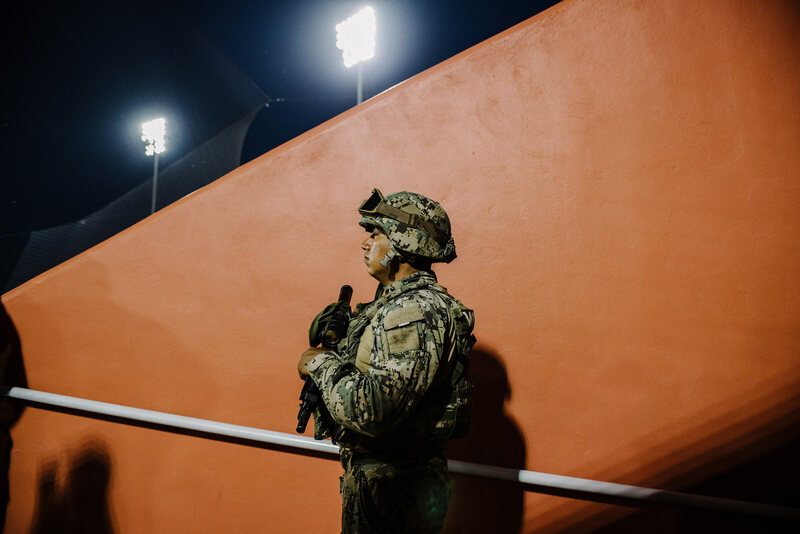 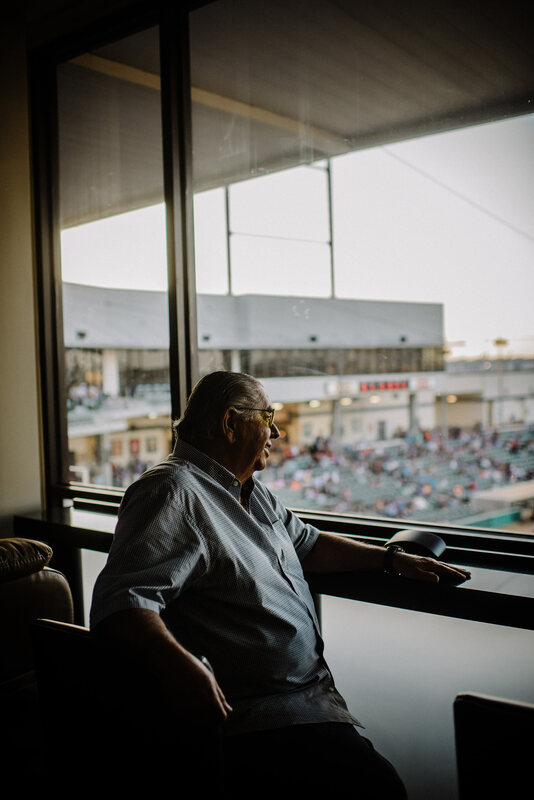 A Mexican marine on guard at the Tecolotes baseball game at the Ciudad Deportiva's Nuevo Laredo Stadium in Nuevo Laredo. 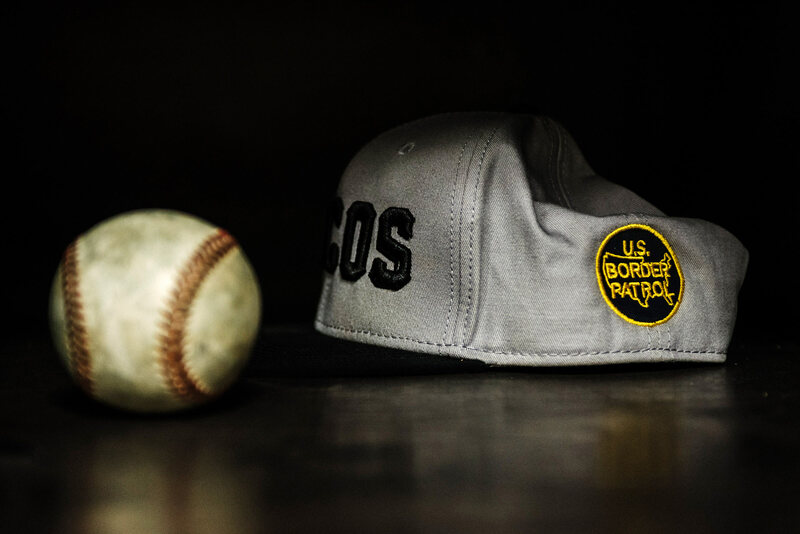 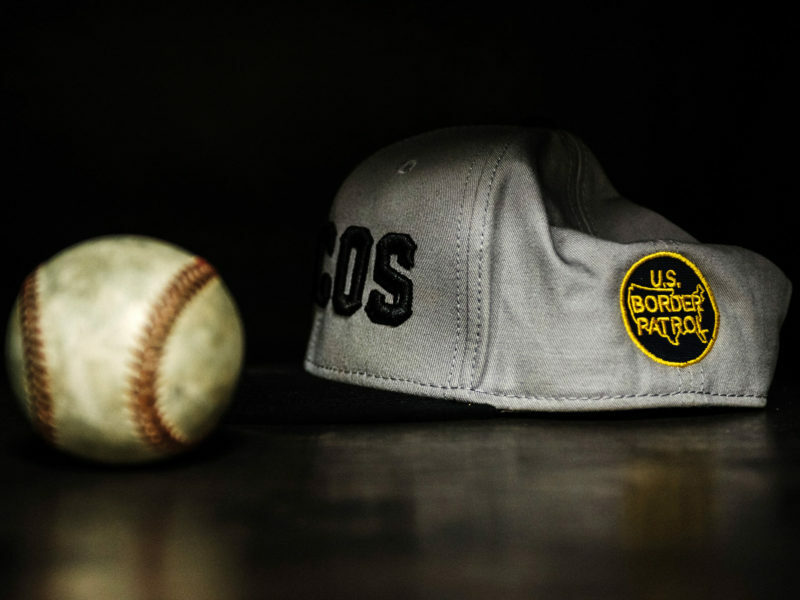 A Tecolotes hat from a charity game they played against the United States Border Patrol from earlier in the season. 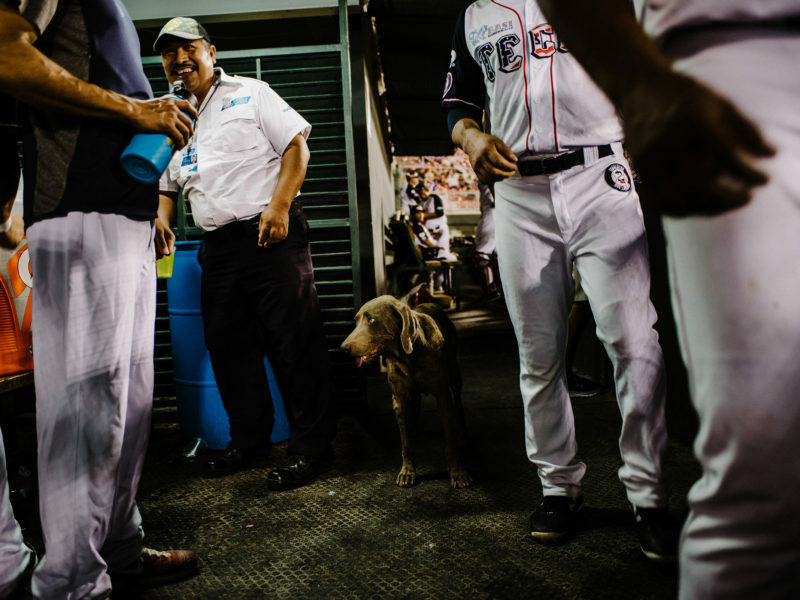 A stray dog wanders into the Tecolotes dugout at the Ciudad Deportiva's Nuevo Laredo Stadium in Nuevo Laredo. 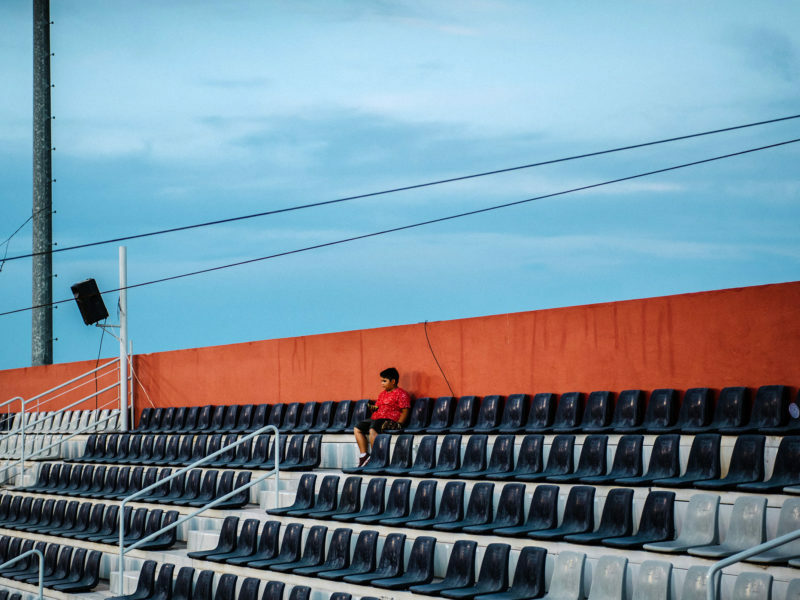 A young fan sits at the top of the stadium during a Tecolotes baseball game at the Ciudad Deportiva's Nuevo Laredo Stadium in Nuevo Laredo. 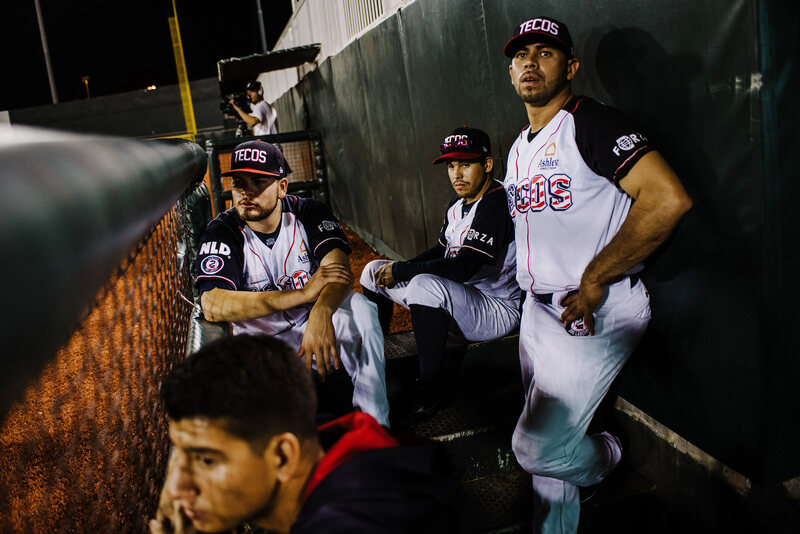 Christian Rocha, Ivan Bellazetin, and Juan Martinez in the Tecolotes home dugout at the Ciudad Deportiva's Nuevo Laredo Stadium in Nuevo Laredo. 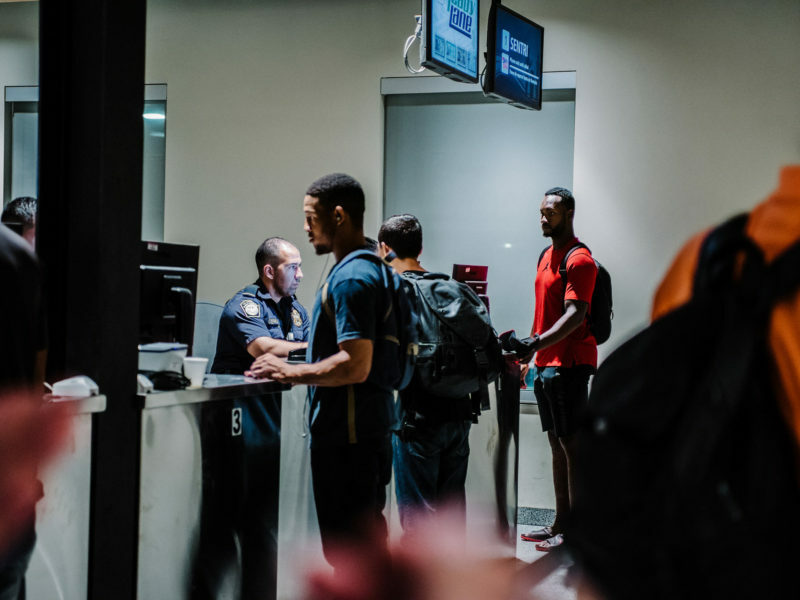 Domonic Brown, right in red shirt, talks to an American border patrol agent after playing a home game in Nuevo Laredo, Mexico. 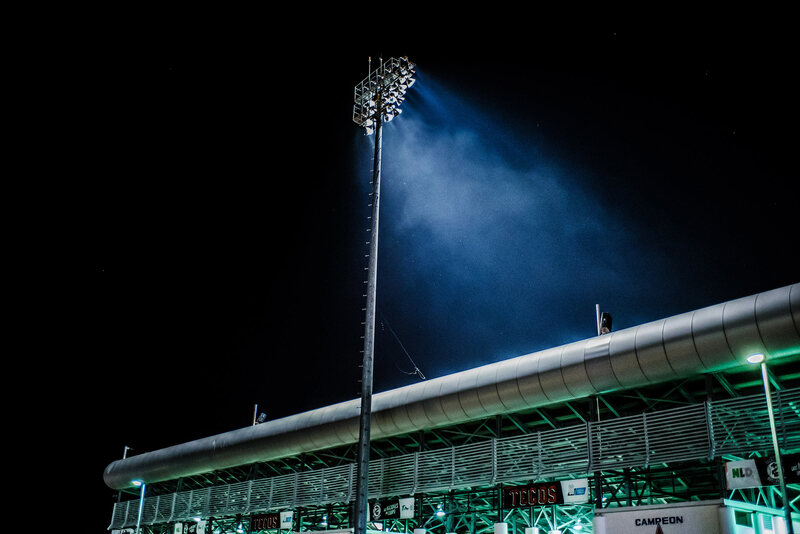 Ciudad Deportiva's Nuevo Laredo Stadium in Nuevo Laredo.